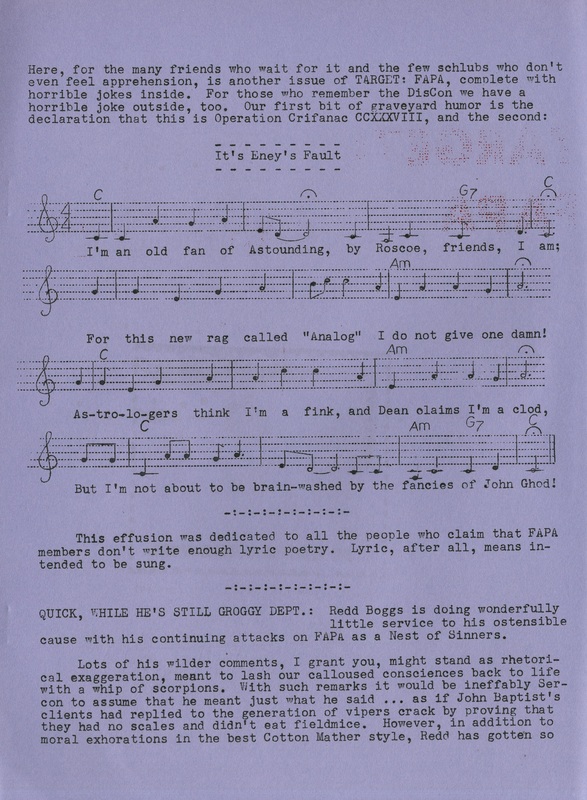 “It’s Eney’s Fault.” Target: FAPA in the combozine Alexandria Trio, FAPA mailing #105, November 1963. Fantasy Amateur Press Association Publications, SCRC 256, Special Collections Research Center. Amateur Press Associations, or APAs, began in the late nineteenth century as groups of amateur printers. The first APA was the National Amateur Press Association (NAPA), founded in 1876. The associations function by distributing “mailings” containing materials created by its members, copied (if necessary), and compiled by a central person. The compiled submissions were mailed back out as a packet to members, along with the association’s official organ or “memberzine,” which generally lists the titles and author/editors of pages of the publications included in the mailing, a membership roster of active members, and updates and reports from the APA editor. 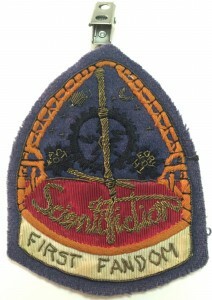 Science fiction APAs began in the 1937 with the Fantasy Amateur Press Association (FAPA), established by Donald A. Wollheim and John B. Michel, and quickly became integral to science fiction and comic book fandom. 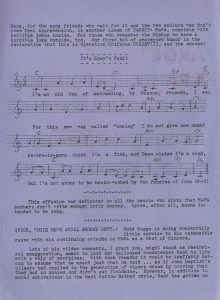 Comic book fandom, especially in the 1960s and 1970s, was largely defined by fanzines and APAs. APAs continue to thrive in the digital age, sending out their members’ creations, which include newsletters, zines, drawings, and other formats. While many APAs continue in physical form, some are now published as “e-zines” online. Cover of Crypt of Cthulhu, EOD mailing #36, November 1981. 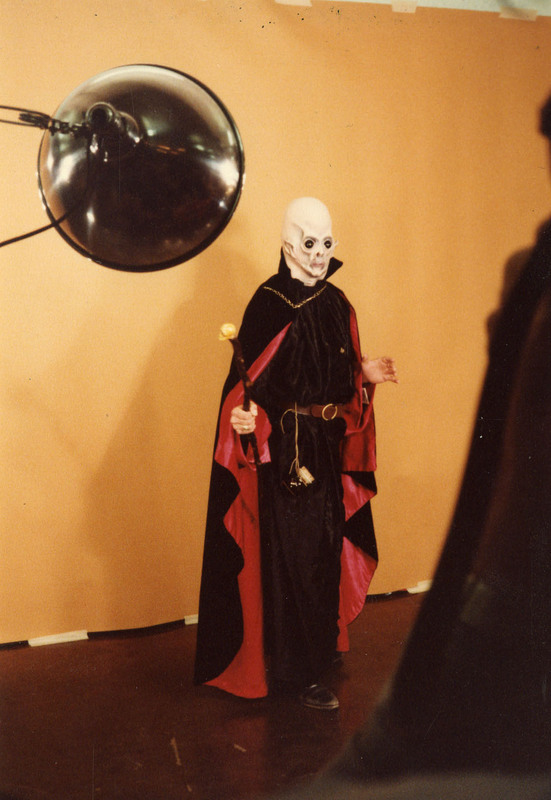 Esoteric Order of Dagon Amateur Press Association Publications, SCRC 257, Special Collections Research Center. 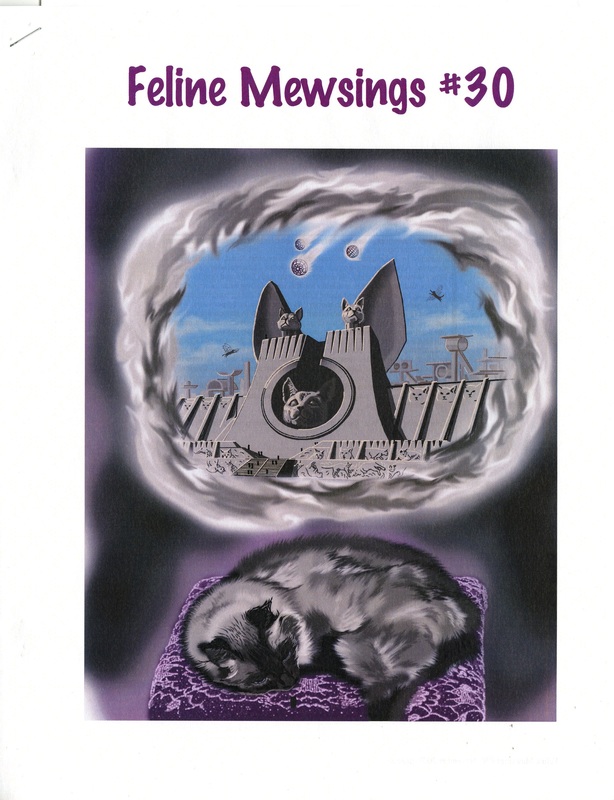 Cover of Feline Mewsings #30, FAPA mailing #281, November 2007. Fantasy Amateur Press Association Publications, SCRC 256, Special Collections Research Center. 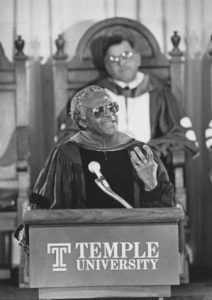 Temple University Library’s Special Collections Research Center’s Fantasy Amateur Press Association Publications collection contains issues of the association’s mailings from 1963 through 2009, including its memberzine, The Fantasy Amateur.It is the longest- running APA. 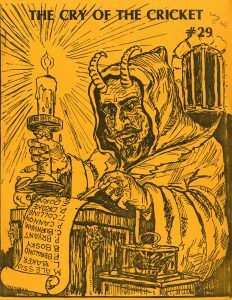 The Esoteric Order of Dagon Amateur Press Association (not to be confused with the occult group Esoteric Order of Dagon or the Australian zine of the same name), was established in 1973 by Roger Bryant, and is dedicated to scholarship and writing related to the author H. P. Lovecraft. 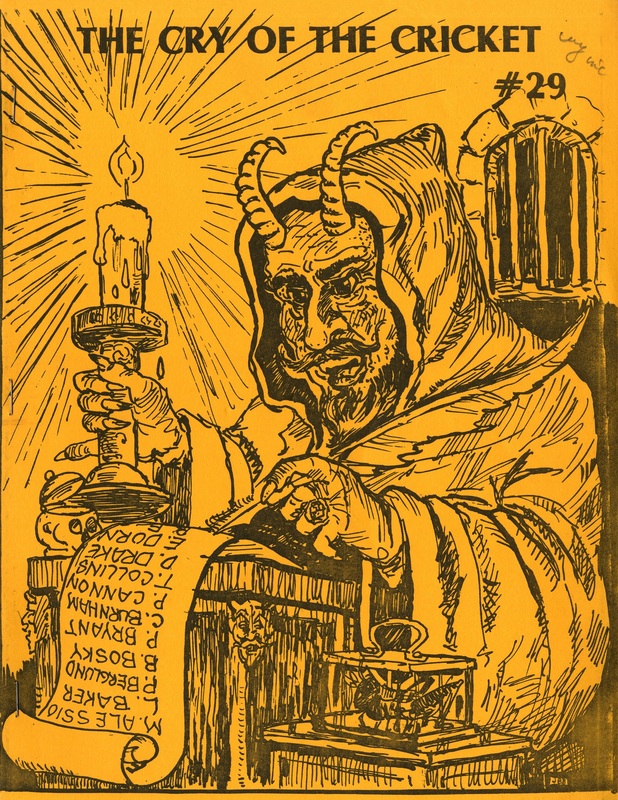 The SCRC’s collection of Esoteric Order of Dagon Amateur Press Association Publications contains an almost complete run of issues of the association’s mailings from 1979 through 2009, including the APA’s memberzine, titled at various times The Cry of the Cricket and Nuclear Chaos. 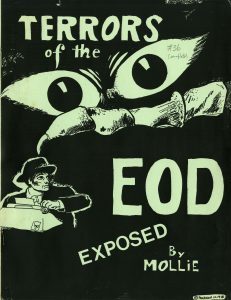 Cover of The Cry of the Cricket memberzine, EOD mailing #29, February 1980. 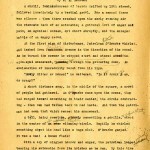 Esoteric Order of Dagon Amateur Press Association Publications, SCRC 257, Special Collections Research Center. 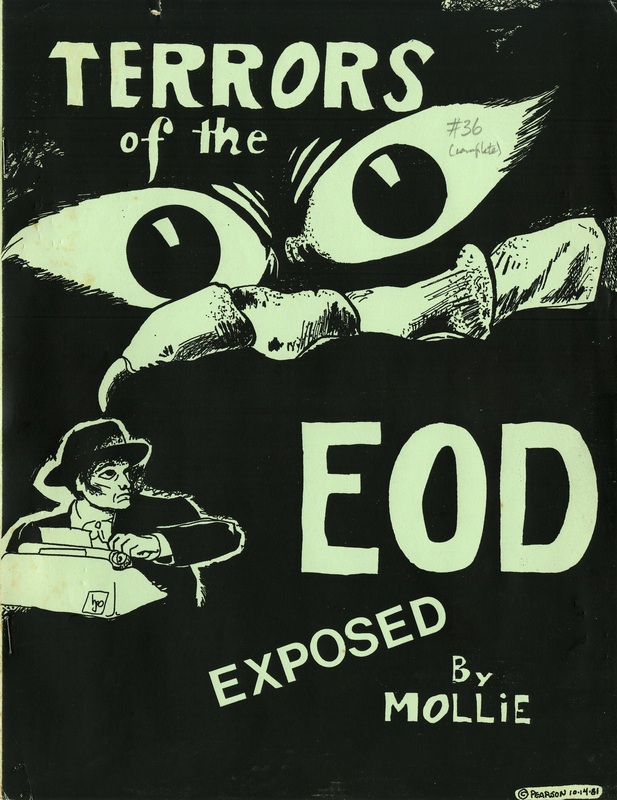 Cover of The Cry of the Cricket memberzine, EOD mailing #36, November 1981. Esoteric Order of Dagon Amateur Press Association Publications, SCRC 257, Special Collections Research Center. These collections of APAs complement SCRC’s other collections related to the history of science fiction fandom. In addition to files of ephemera from science fiction conventions and three fanzine collections (the Science Fiction Fanzine Collection, Sue Frank Collection of Klingon and Star Trek Fanzines, and the Women Writers Fan Fiction Collection), SCRC also holds the papers of Carlos Roy Lavender, aerospace engineer, science fiction fan, frequent convention attendee and organizer, author, founder of Midwestcon, and member of First Fandom. 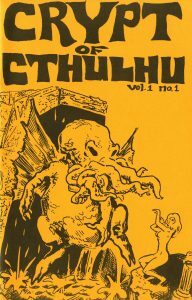 SCRC also hold a large number of books by and about H. P. Lovecraft, as well as the Arthur Langley Searles Collection of H. P. Lovecraft Research Files. –Katy Rawdon, Coordinator of Technical Services, SCRC. With thanks to Michael Rawdon, brother and former APA contributor. The Special Collections Research Center is fortunate to hold several collections related to the history of science fiction fandom. 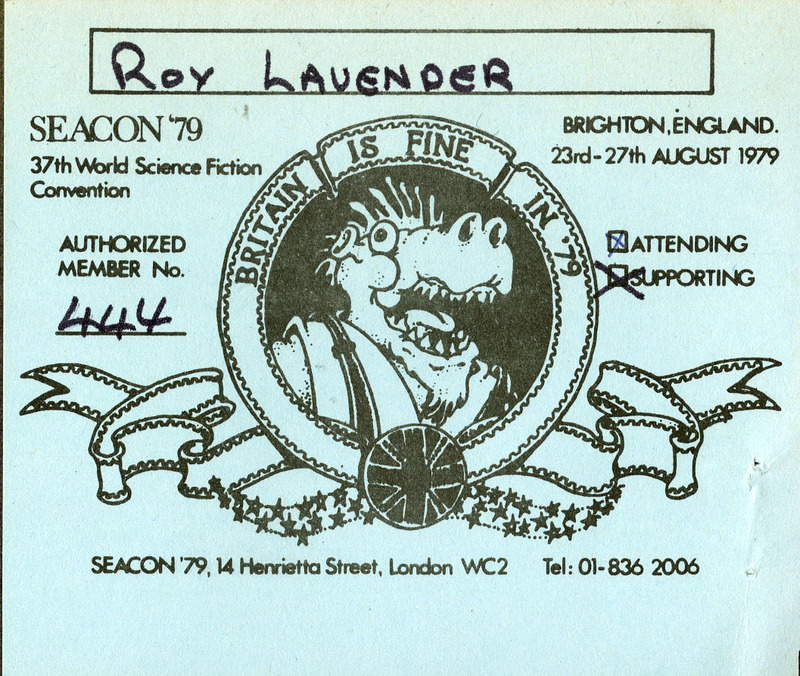 In addition to files of ephemera from science fiction conventions and three fanzine collections (the Science Fiction Fanzine Collection, Sue Frank Collection of Klingon and Star Trek Fanzines, and the Women Writers Fan Fiction Collection), we also hold the Carlos Roy Lavender Papers. Roy Lavender was an aerospace engineer, science fiction fan, frequent convention attendee and organizer, and author of essays describing fan life in the early years of science fiction and the “pulp era.” Lavender was a member of First Fandom – an association of experienced science fiction fans originally limited to fans active prior to 1938 – and a founder of Midwestcon, a science fiction convention held annually in Ohio. The Carlos Roy Lavender Papers include convention booklets and nametags, fanzines, letters, photographs, ephemera, newsletters, a scrapbook of science fiction writer Harlan Ellison’s column, “The Glass Teat: A Column of Opinion about Television,” and other materials. The many boxes of photographs and slides in this collection contain images of various science fiction conventions, including examples of cosplay. While fans (of anything, but particularly science fiction) are often subject to ridicule, fan studies has grown in recent years. Fandom can be seen as a microcosm of the larger culture, and is intertwined with commerce, economics, entertainment, social connections and structures, and creativity. Documenting fandom has particular challenges for archivists. In addition to the scattered and ephemeral nature of much of what fandom produces, privacy concerns can also be an issue. Some fans do not want to be publicly associated with their fandom or the creative products they make, while others believe that the entire purpose of fandom creativity is to share what they produce with as wide an audience as possible. 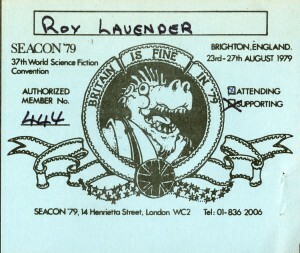 Attendee card for the Seacon convention (37th World Science Fiction Convention), 1979. A pressing current challenge for preserving fandom culture is capturing, preserving, and making accessible digital fandom: online zines, listservs, newsgroup posts, and blogs. These same challenges exist in many other types of contemporary archival collections, and archivists are increasingly well equipped through digital forensics, web archiving (for some of Temple’s contents, see our Archive-It site), and other measures, to provide the same care and access to digital materials as they have done with paper collections. 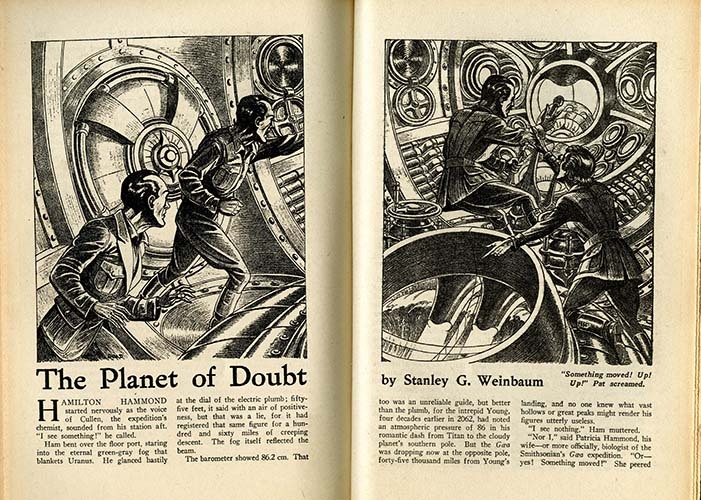 “The Planet of Doubt” by Stanley G. Weinbaum, published in Astounding Stories, October 1935. 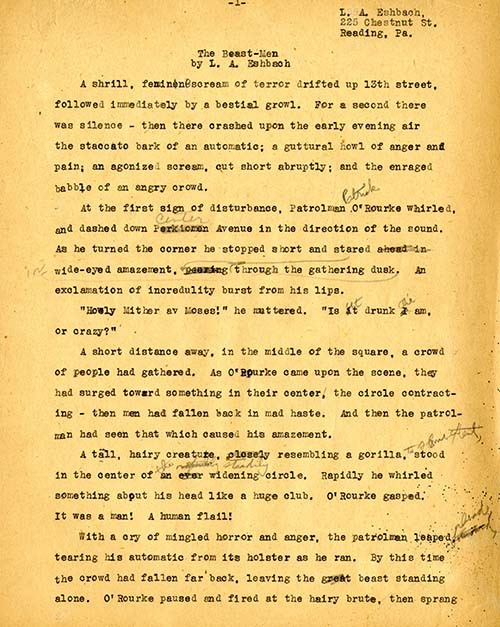 Recently, a reference request came in through the Special Collections Research Center general email, asking for information about three of our science fiction manuscript collections: the Stanley G. Weinbaum Papers, the Lloyd Arthur Eshbach Papers and Fantasy Press Archives, and the Arthur Leo Zagat Manuscripts. 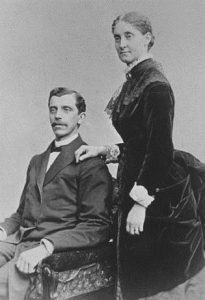 While the Weinbaum papers already had a finding aid on our web site, it needed revision. The Eshbach and Zagat collections had finding aids in electronic format, but they had not yet made it onto our web site. 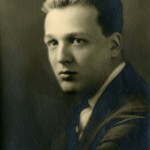 Photograph of Stanley G. Weinbaum, undated. We call these “legacy finding aids” – finding aids written some years ago, that likely do not meet current archival structures and standards, and which require some revision before we can make them available online. 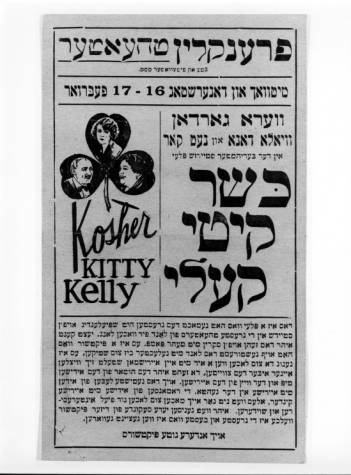 Working through these finding aids and posting them to our web site is an often lengthy process, but a satisfying one in that it greatly increases awareness of the collections in question. The Paskow Science Fiction Collection within the SCRC is perhaps best known for its extensive holdings of science fiction and fantasy books. In addition to multiple editions of primarily 20th century books, the collection contains pulp magazines, general and Star Trek/Klingon-related fanzines, posters, fliers, and convention ephemera. Less well known is the fact that the science fiction collection also contains manuscript materials. 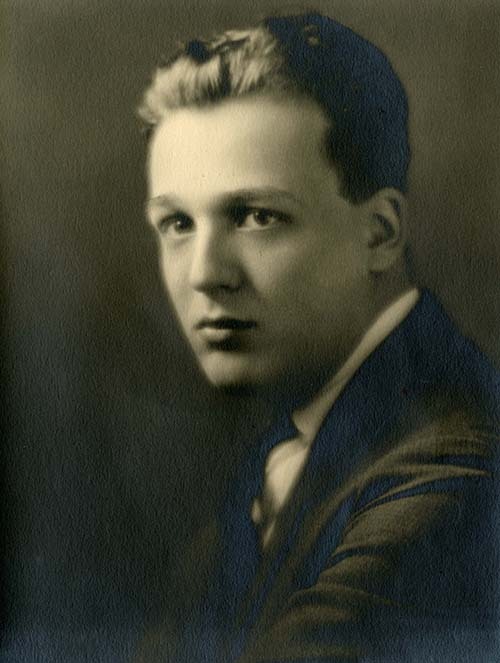 The papers of Lloyd Arthur Eshbach, Tom Purdom, John Varley, Stanley G. Weinbaum, Felix Gotschalk, Arthur Leo Zagat, the Enterprising Women Fan Fiction Collection, and the Arthur Langley Searles Collection of H. P. Lovecraft Research Files are a few of the gems found in the collection. 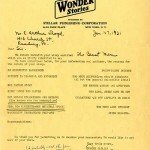 Letter from Wonder Stories to Lloyd Arthur Eshbach, January 27, 1931. 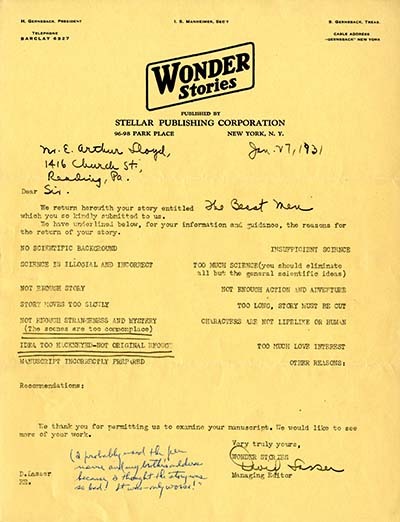 The Weinbaum, Eshbach, and Zagat collections all contain a mix of manuscripts of published and unpublished short stories and novels, and correspondence with editors, agents, publishers, and authors. 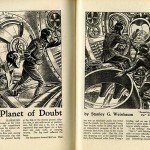 Much of the material is from the 1930s and 1940s, and provides a glimpse into that era of science fiction writing and publishing, particular in the pulp magazine area. SCRC staff are working to verify existing inventories, update and standardize the format of finding aids, and prepare our collections for research use. The Weinbaum, Eshbach, and Zagat papers are three such collections that are now ready and waiting for interested researchers to visit the SCRC and discover their amazing content.